2013 marks the 20th anniversary of educational exchange programs between the United States and the Urals. U.S. Consul General in Yekaterinburg, Michael Reinert, talks to Rossiyaskaya Gazeta's Nadezhda Gavrilova about the direction that educational exchange programs between the two countries should take in the future. U.S. Consul General in Yekaterinburg, Michael Reinert, met with graduates of the exchange program in early February. The Urals natives who had traveled to the U.S. shared stories about their visits and asked questions about the outlook for further exchange. In an exclusive interview with Rossiyaskaya Gazeta's Nadezhda Gavrilova, Reinert talks about the direction that educational exchange programs between the two countries should take in the future. RBTH: What exchange programs supported by the U.S. Consulate General in Yekaterinburg currently exist? Michael Reinert: To one degree or another, we support all exchange programs for Russian and American citizens run by the U.S. Department of State. There are more than 30 such programs today, and they are all listed on the U.S. Embassy in Moscow’s official website. The Fulbright Program for researchers and professors is perhaps the best-known. The FLEX Program for high school students and the Global UGRAD and Muskie programs for college students are very popular too. RBTH: How long have they existed and how many people have taken part? M.R. : The first group of specialists from the Urals took part in an exchange program in 1993, so this year marks its 20th anniversary. Regional theatre directors were the first to go to the U.S. under the U.S. Performing Arts Organizations Management program. I know that many of them still look back fondly on that trip and believe it was very useful for them professionally. In terms of numbers, more than 5,000 people from the Urals-West Siberia consular district, which comprises the Sverdlovsk, Chelyabinsk, Orenburg, Tyumen and Kurgan Regions, as well as the Perm and Omsk Territories, the Republics of Udmurtia and Bashkortostan and the Khanty-Mansiysk and Yamalo-Nenets Autonomous Districts, have taken part in our exchange programs over the past 20 years. RBTH: Do many American citizens come to the Urals to study? What attracts them to the region? And what impressions do they take back home with them? M.R. : Those Americans who come to the Urals to study are obviously primarily interested in the Russian language and culture. That’s why I am always happy when universities open new summer Russian language schools for foreigners, such as the B.N. Yeltsin Urals Federal University. Without a doubt, my compatriots are impressed most of all by the large number and variety of cultural institutions and events held in large Russian cities and, of course, the opportunities to communicate with Russians directly. RG: What courses or programs do people from the Urals apply to most often, and why? M.R. : Summer Work & Travel for college students is the most popular exchange program today. They can work and travel in the U.S. for four months during the summer break. Besides the program’s obvious tourist appeal, its growing popularity has a lot to do with the opportunity for long-term immersion in the language environment. Young people returning from this trip speak English like natives. RG: Are Urals graduates returning from the U.S. satisfied with the knowledge they have acquired there? How do they evaluate their studies abroad? M.R. : I think they are. Returning graduates often thank us for the quality of the logistic, professional and cultural components of their programs. Without a doubt, professional and personal ties established by exchange-program participants during those trips are the most valuable results of our efforts. We always strive to expand direct dialogue on various matters between the citizens of our countries. RG: What is your assessment of how academic exchanges between the Urals and the United States have developed? What do you believe still needs to be done? M.R. : My assessment of the situation is definitely positive. There are people in almost all universities and in many professional areas today that have experienced America first-hand. Many have established professional, academic or business partnerships. This means that the basis for dialogue and opportunities for strengthening mutual understanding and cooperation are expanding. Going forward, I would be happy to see the programs become more bilateral in nature. I am sure that many American students and professionals would be interested in visiting the Urals. 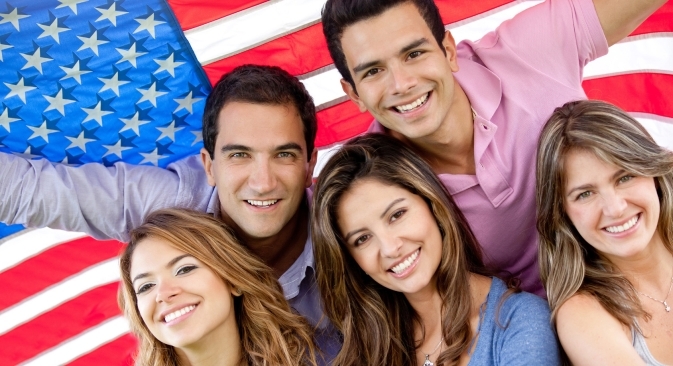 Our month-long program was intended to study the experience of American youth organizations. We visited six states and Washington, D.C. We were acquainted with the work of youth organizations and different levels of government, from municipal to national. It is no exaggeration when I say that it was a unique experience. The material I collected during that trip was sufficient to write two college lecture courses that were subsequently taught in a number of Yekaterinburg universities. Not only that, but, during the years following the program, many Russian youth organizations established direct contacts with their American counterparts to exchange ideas and engage in further cooperation. Perhaps this was the most important outcome of our visit. I was very interested in observing the way my American colleagues work. We were shown the process of how theatre executives are trained at American universities, and how theatre troupes work there. I was surprised to learn that, in America, children’s theatres also play a social and pedagogical role. They tour areas with high levels of social tension to [put on shows] there that are often very deep, as well as kind-hearted. I think this is a very useful and necessary thing. I was somewhat taken aback by the fact that modern Russian playwrights are all but unknown in the States, although I’m sure that their plays would resonate with the American audience. Nadezhda Gavrilova is a reporter for Rossiyskaya Gazeta.